Being an icon means that one can transverse eras yet always be relevant. It requires that one must know how to renew and adapt, to innovate while showing a unique 'personality'. Having won more than 10 million customers worldwide in the past 20 years the Renault Clio has demonstrated all these traits and Renault believes it makes the Clio a true motoring icon. First B-segment model to secure a four-star Euro NCAP crash test rating (2000) and then to be the first in class to achieve a maximum five-star status (2005). To celebrate Clio's 20th anniversary, Renault has decided to release a special, exclusive '20th' Anniversary Limited Edition version of the Clio RenaultSport. 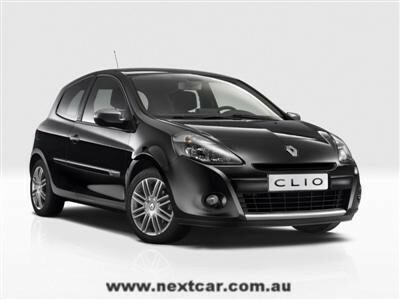 This Clio needed to demonstrate Clio’s unique style of being modern and always inspired. In Australia, there will be just 30 of these very special cars (each individually numbered); they will be arriving at the dealers in early July. A hallmark of the Clio RenaultSport 200 Cup – 20th Anniversary Limited Edition will be its exclusive Black and Ice White colour scheme. This Limited Edition version features '20th' badges on the B-pillars and a deep black finish for the roof, top of rear hatch and GT spoiler. Meanwhile, the well-appointed cabin comes with a carbon fibre effect for the centre console with chrome highlights on air vents, plus a special Clio 20th numbered plate. Clio Renault Sport 20th Anniversary goes on sale late June, pricing will be $39,990 (MLP) excluding on-road costs (such as dealer delivery fees and the various statutory charges). Clio RenaultSport 20th Anniversary Limited Edition. The new Renault Clio RenaultSport 20th Anniversary is based on the recently launched Clio RenaultSport 200 Cup Trophée.